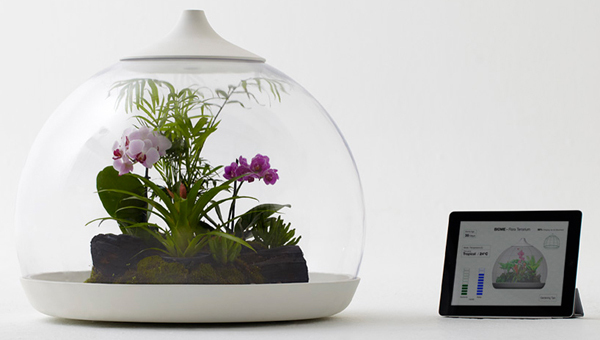 Looks like terrariums are the new planters. 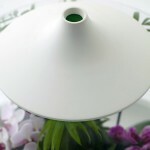 They become more and more popular with the designers and greatly vary in styles and shapes. 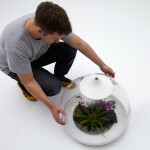 This one is a hi-tech terrarium by designer Samuel Wilkinson. 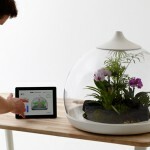 It works as an enclosed glazed planter for flowers and plants and it is controlled via iPad or smartphone. 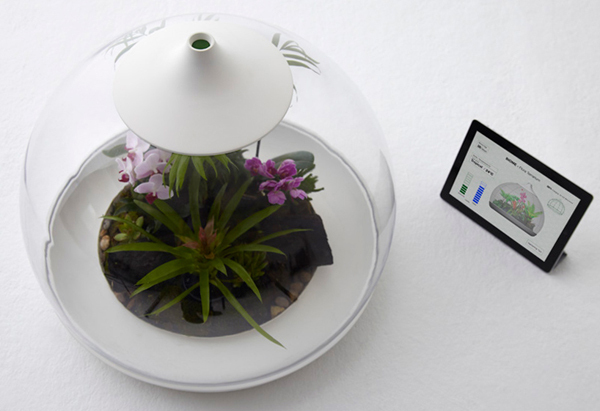 Referring to his ‘Biome’ Terrarium as “live tamagochi” Samuel Wilkinson offers to control the temperature, water and nutrients levels via the special application for smartphones and iPad prompting a new use for these technologies. 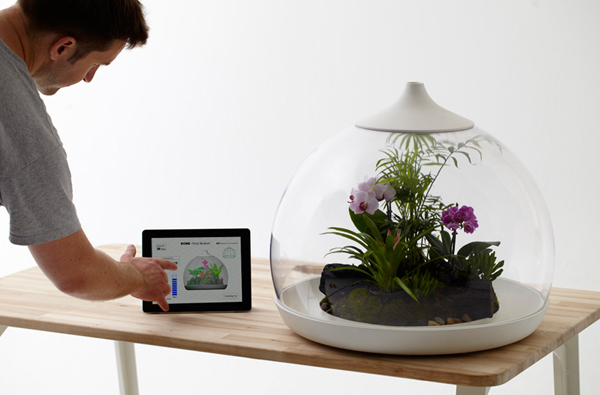 The terrarium also feature built-in lighting to imitate sunlight. 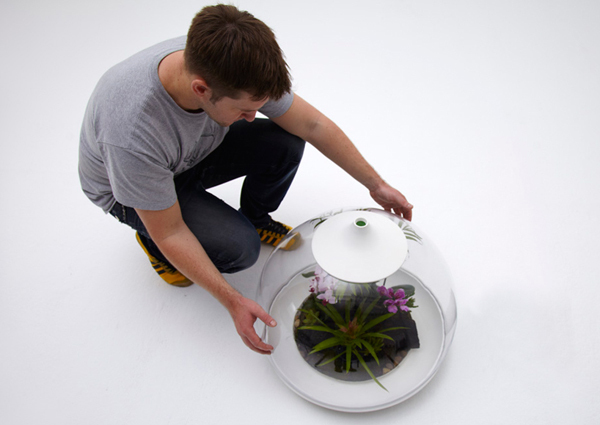 The ‘Biome’ Terrarium is great for growing most demanding plants and flowers as it provides all the necessary conditions for them. 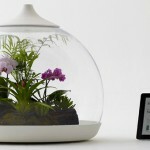 The application regulates the factors like temperature and light only in the terrarium and not entire room of apartment. It’s also handy as it’s not always possible to keep the temperature in the room at one level. Ikea Releases Funny Ad For Its New 2015 Catalogue "Bookbook"